Imagine this scene – It’s a cold, rainy December Saturday morning, and you’re about to stare down the opposing team’s cleanup hitter with the bases loaded in a one-run game. Professional Baseball Instruction is holding tryouts for a limited number of roster openings for our 8U, 9/10U, and 11/12U Eagles teams for the upcoming Saturday Indoor League season beginning on Saturday November 18 and continuing into February 2018. 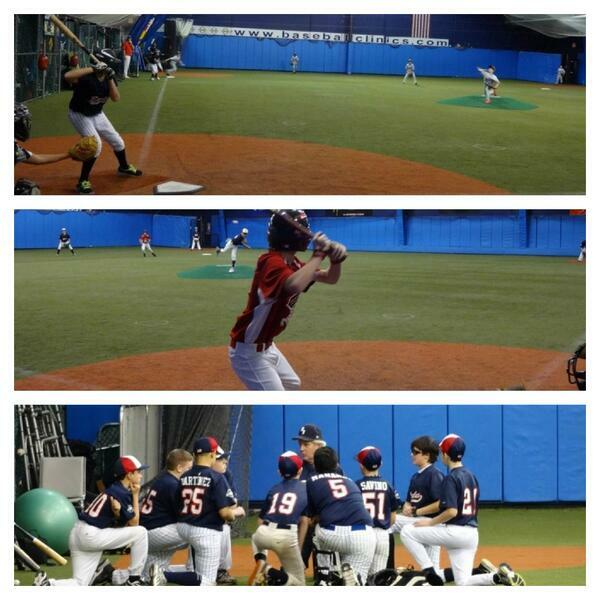 PBI will be evaluating players for our upcoming Saturday indoor league to ensure they’re up to the challenge. Evaluations are just $10 and will be held WEDNESDAY NOVEMBER 1 at 5:30 PM at PBI’s indoor facility located inside NJ Sports House at 12 Wright Way in Oakland NJ. Players will be informed of the results within 72 hours. •8 roster spots per team. •Cost per player to participate in the league is $375 ($399.99 for non-PBI members) which includes an 8-game regular season (all on Saturdays) and a possible championship game. •Games are 90 minutes in length; teams also have a 45-minute pre-game practice period each week under the supervision of a PBI coach. Click here for a brochure with full details. League age will be determined by the player’s age as of August 31, 2017. Evaluations for players will be held at PBI on October 23 at 5 PM. Players will be informed within 72 hours of their evaluation if they have the necessary skills to compete in the league. Roster spaces are on a first-come-first-serve basis. 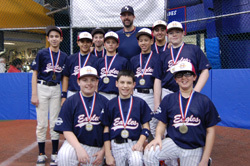 The PBI Baseball League Indoor Season begins Saturday November 18 and continues into the beginning of February. All games are played on Saturdays in rotating time slots (morning, mid-day, and afternoon). There are no games on December 23 and December 30. FOR MORE INFORMATION, OR TO REGISTER FOR AN EVALUATION CALL PROFESSIONAL BASEBALL INSTRUCTION TOLL-FREE 800-282-4638.